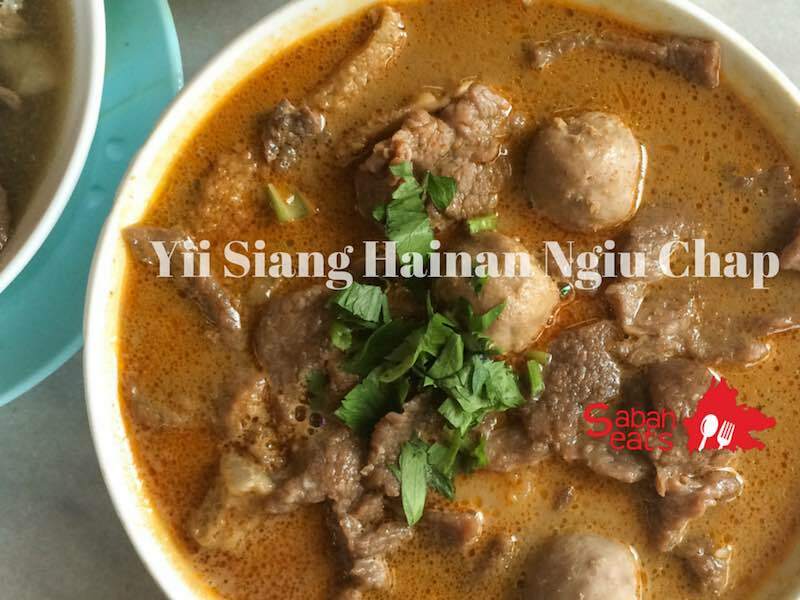 Yii Siang Hainan Ngiu Chap serve delicious Beef noodle since 1993. 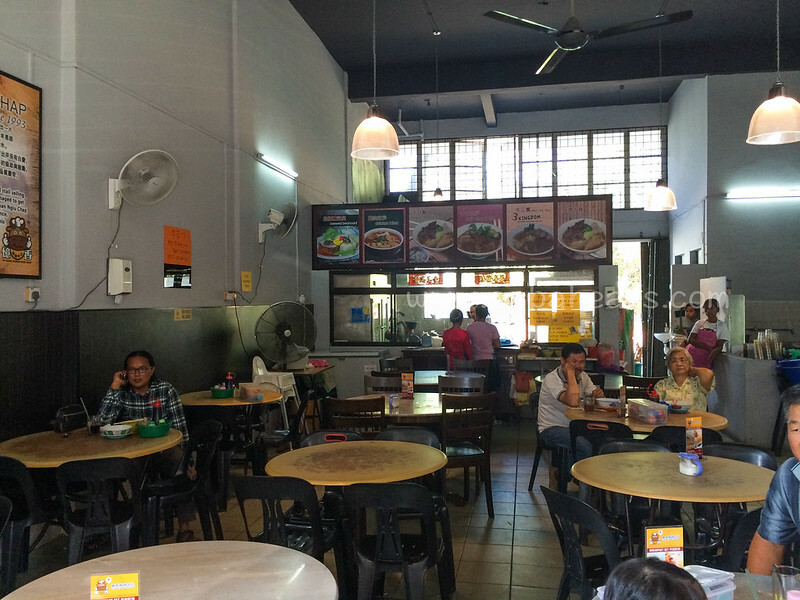 The owner, Mr Ling started the beef noodle from a stall at Kedai Kopi Yii Siang and people remember them as Fei Lou Ngiu Chap (fat man beef noodle) and their generous serving of beef and ngiu chap (beef mix). 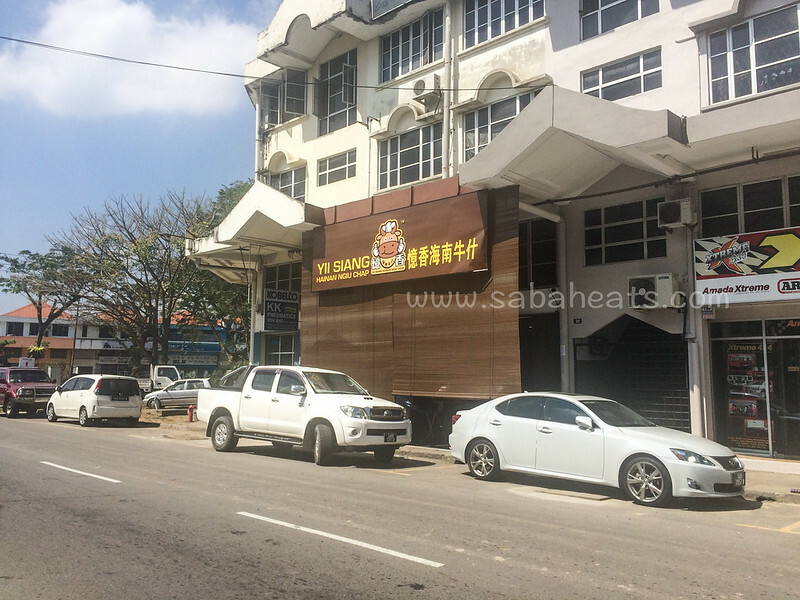 As Yii Siang become more and more famous, they decided to take over the coffee shop and sell only Beef noodle. The shop becomes brighter with the big menu on the wall make it easier for customers. They also introduce Ngiu Chap Laksa (laksa beef noodle) and Ngiu Chap rice (beef rice) to their menu. 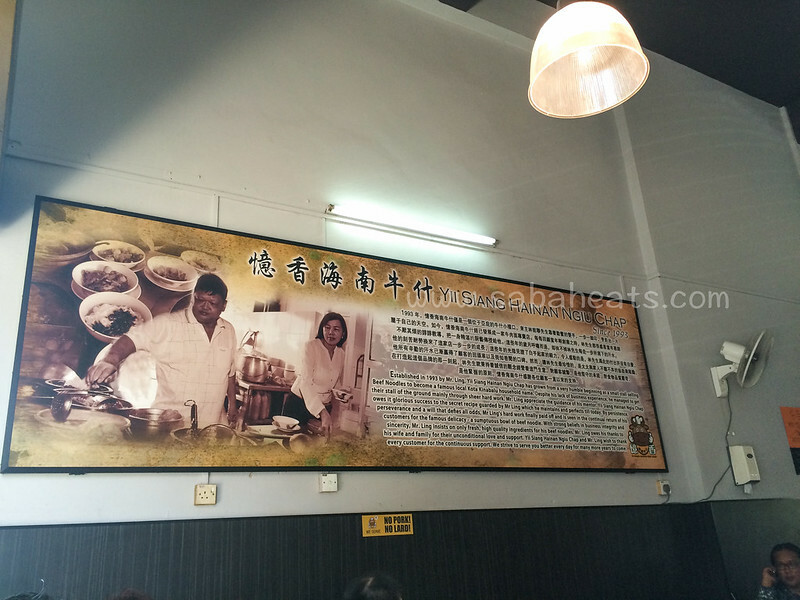 We are really excited to know about Ngiu Chap laksa, first ever in Kota Kinabalu. Now we can have laksa and beef noodle, all in 1 bowl! 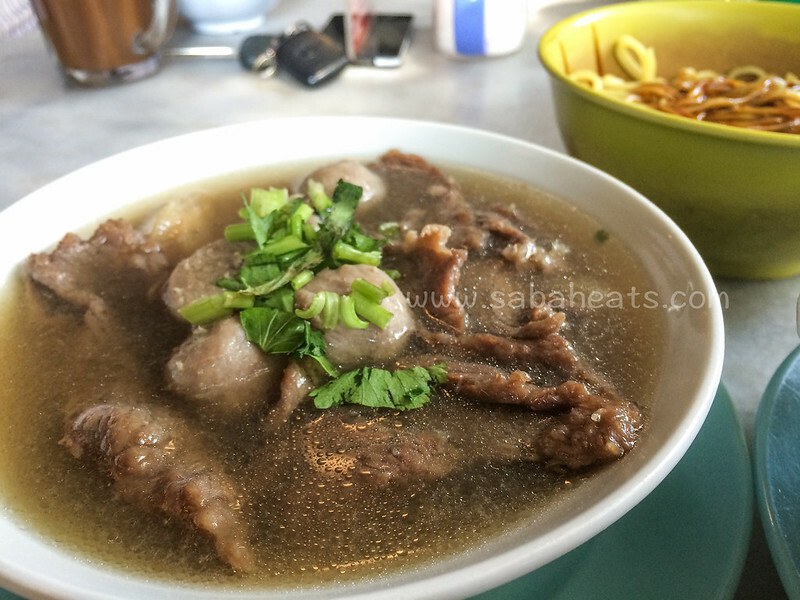 a normal serving of ngiu chap (beef mix). The beef lover will love it here as the serving is generous and the soup is flavourful! 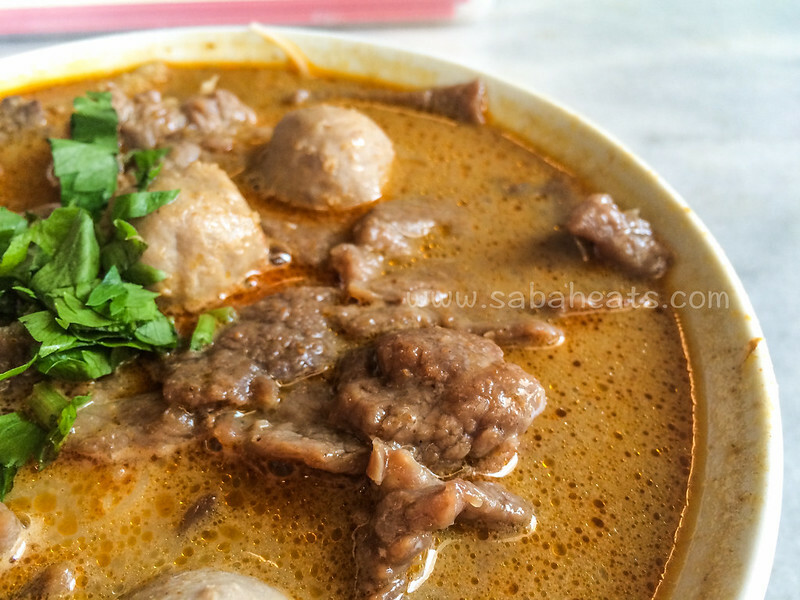 Ngiu Chap laksa (laksa beef noodle).